British PM may gets some extra time for Brexit. The hot mess drags on…..
Kuenssberg: Can May take back control? “The UK government will still have a choice between a deal, no deal, a long extension or revoking Article 50,” he said. “The 12 April is a key date in terms of the UK deciding whether to hold European Parliament elections. 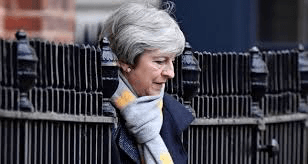 Mrs May ruled out revoking Article 50, which would cancel Brexit, and she also said “it would be wrong” to ask Britons to vote for candidates for the elections to the European Parliament, due to be held from 23-26 May, three years after they voted to leave the EU…..